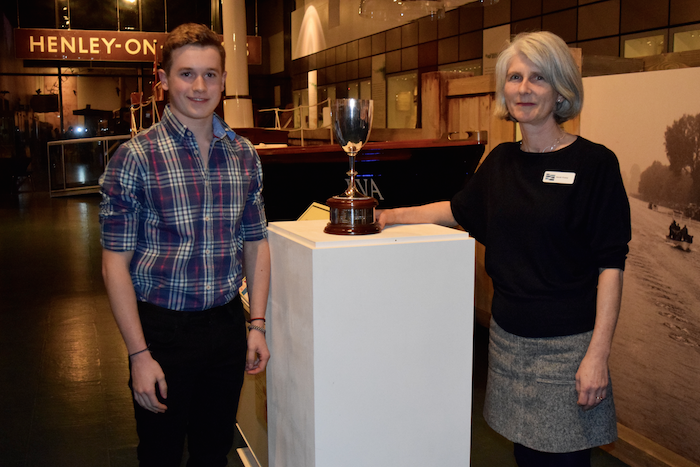 Last weekend saw the awards ceremony for the Henley Classic Swim, where the two 2018 winners were presented with the Inman and Ovey trophies. 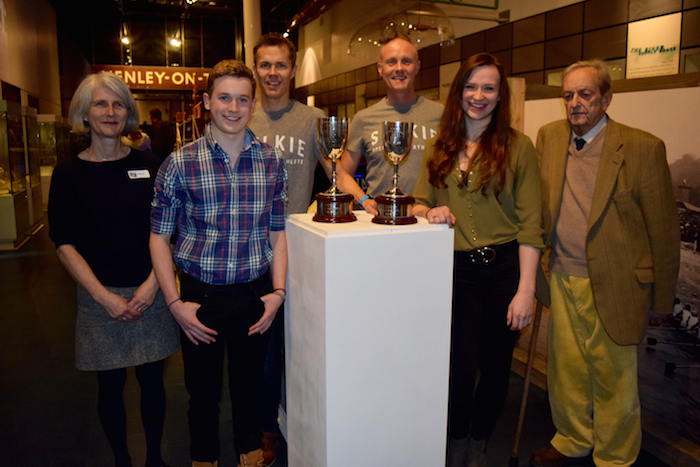 On Friday evening, friends and family gathered at the River & Rowing Museum to see Henry Plewes and Vicky Cunningham awarded these two historic cups, dating back to a long distance swim of the 1890s. 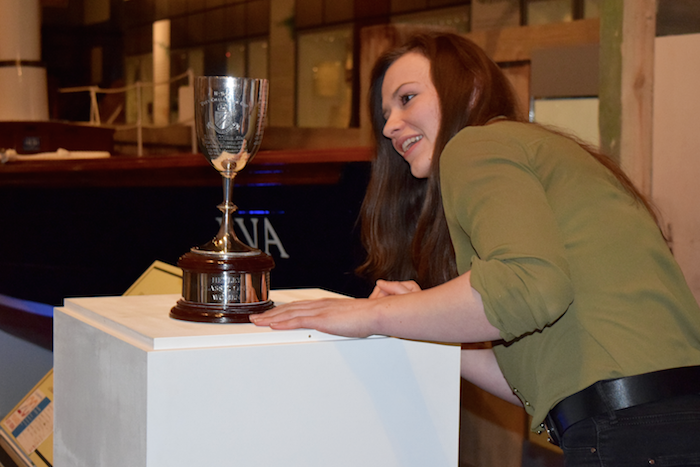 Now inscribed with the two winners’ names for eternity, the cups were presented by Museum Director, Sarah Posey, and Richard Ovey, the great-grandson of the Ovey cup’s original benefactor, also named Richard Ovey. The prize-giving was an opportunity to recognise the roots of local open water swimming events, and the tradition’s rise in popularity thanks to the Henley Swim team. Established in 2004 by Jeremy Laming and Tom Kean, the 2.1 km Henley Classic is an upstream dash of the Henley Royal Regatta course, taking place at dawn on the Sunday before the regatta. The race is one of the oldest open water swimming events in the world, and attracts athletes from across the globe despite its very early start. Despite the Classic’s renown, it was by no means the first open water race to be held on this stretch of the Thames. 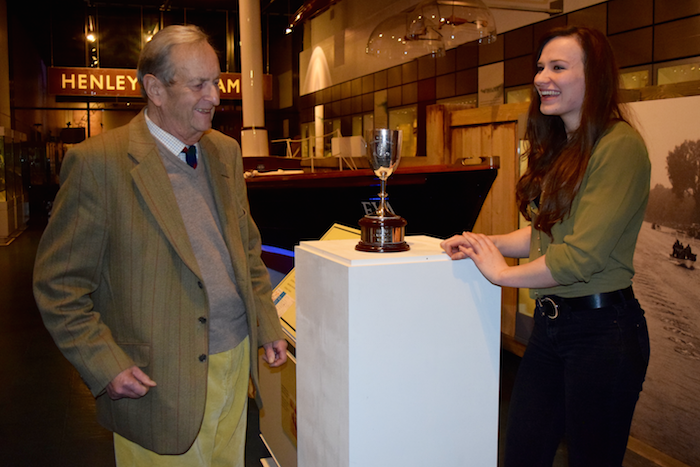 In 1986, the Inman Cup was presented to Henley Swimming Club by Mr George Inman to encourage open water swimming. 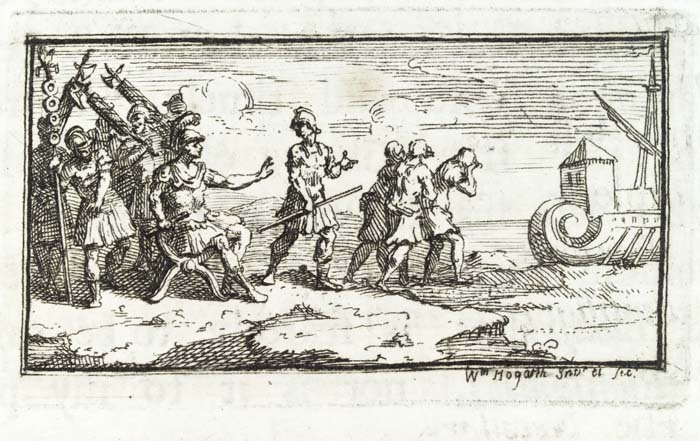 It was awarded to the swimmer who could last the longest in an endurance test, regardless of speed. 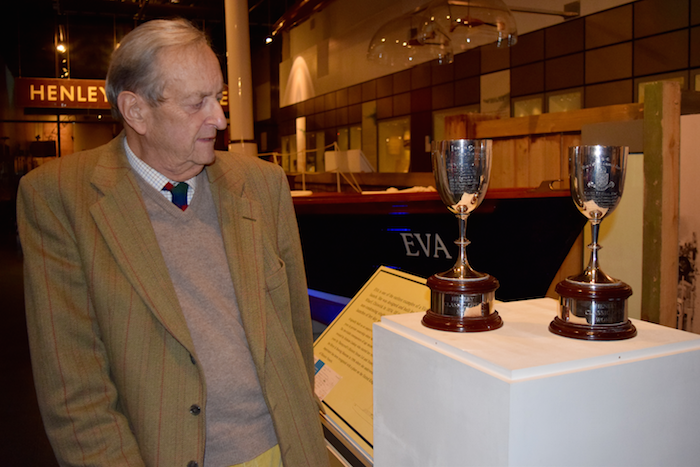 A second cup was then created by Mr Richard Ovey, president of the Swimming Club, before both eventually found a home at the River & Rowing Museum. 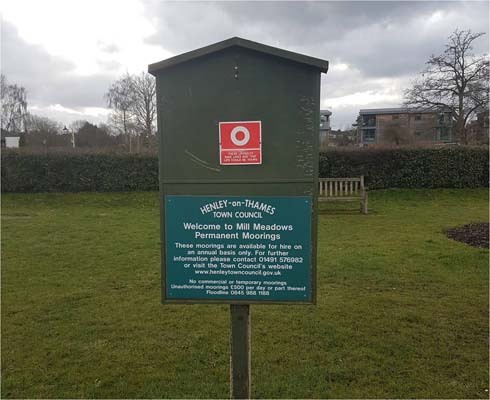 It was here that they were spotted by Jeremy Laming and Tom Kean, who commissioned new bases for the cups to display the names of the Henley Classic winners. The fastest male swimmer in the Henley Classic 2018 was Henry Plewes, only 14 years old at the time of the competition. After being presented with the Inman trophy, he said, “I don’t think it’s properly settled in even though it has been quite a while since I won it, but now that I am here I realise what I’ve actually achieved. It feels quite special to see my name on the cup, knowing it will be there for years to come.” 2018 was Henry’s first time competing in the Henley Classic, and he hopes to return this year and beat his time. Vicky Cunningham was awarded the Ovey trophy for being the fastest woman to complete the course. Much like Henry, this was her first open water race, although she has plenty of experience in pool competition. After retiring from competitive swimming in 2017, she wanted to try something new and decided to dip her toe into open water swimming. “I feel pretty amazing to be honest. I’ve never touched something that old that’s been in that good condition. It’s really cool to see and looking at the list of names and all the different dates on it is awesome. They’ve got my name on there already, which is really exciting, and hopefully I’ll get it on again next year, maybe!” Vicky will also return for the Henley Classic in 2019, along with making her first attempt at the Thames Marathon. Entries for the Henley Classic, sponsored by Selkie, are now open. If you would like to take part, you can register here, or visit their website for more information. Perhaps it will be your name inscribed on the historic Inman & Ovey trophies next year!